Heading back to Axios' San Francisco office after a meeting with a Berkeley professor, I nearly collided with an icebox-sized tub with wheels and a flagpole, sporting Cal colors. 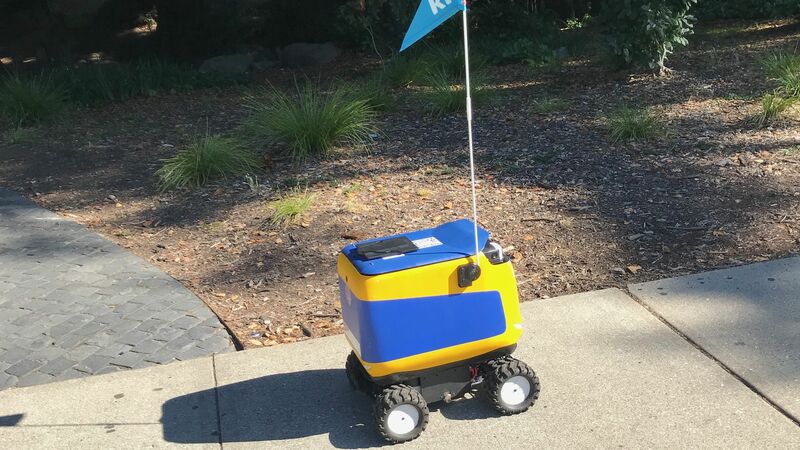 What it's doing: The sidewalk robot is one of around two dozen that roam UC Berkeley and nearby parts of town, delivering food to students and residents. Kiwi, the Berkeley-based company behind this bot, has already made more than 10,000 deliveries, Techcrunch reports. 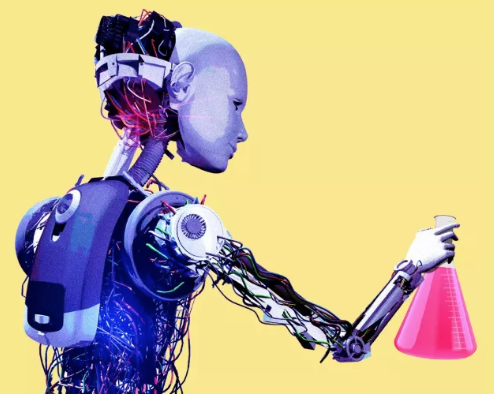 The details: Place an order through the Kiwi app from one of the participating restaurants and a robot will be delivered by a human in a car to your area. The bot then picks up multiple orders from different restaurants, and a human packs it into an autonomous tricycle (yep! ), which pedals the food toward the delivery location. When it's near your home, the trike deploys the delivery bot, which takes the food the rest of the way, sending a notification when it's arrived. You then unlock the bot with the Kiwi app. The delivery fee is less than $4.00. With Kiwi Prime, $14.99 a month will get you unlimited 99-cent deliveries. What's next: Kiwi did not respond to interview requests. But expect more of these bots in more places. They've hit regulatory hurdles in some cities — San Francisco temporarily banned them last year and has not yet issued new permits — but they're popping up in other parts of the region, including San Jose and Stanford, and to the East Coast in D.C. and NYC.